Rachel's Book Corner: A Dragon Named Dragon Officially Out Today! A Dragon Named Dragon Officially Out Today! Click here to order the book . and you will get $1.00 off of your purchase! Hope you enjoy A Dragon Named Dragon! loved it but strange when the dragon befriends with a girl, i thought dragons were afraid when humans threaten, but hey ive been writing 6 yrs who knows. 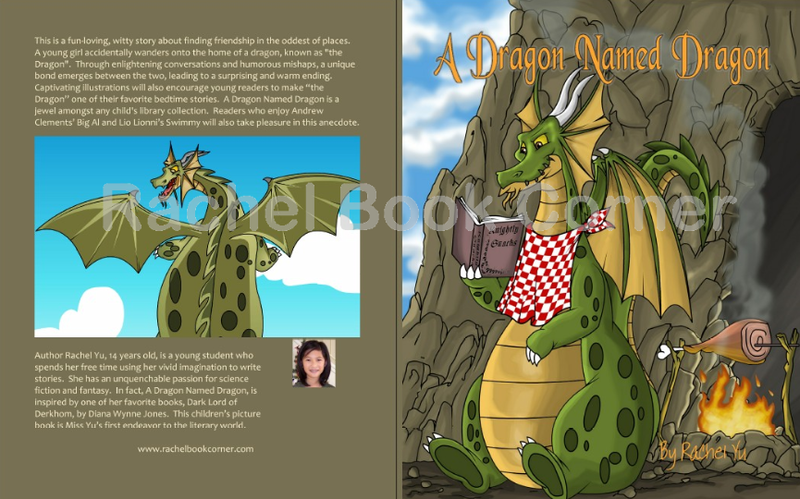 Sneak Peek from "A Dragon Named Dragon"